Letterman’s Is The Landscaper For You! At Letterman’s Lawn & Landscape Service, our attention to detail is our number one priority. You need a company you can trust to make your landscape look its very best. We have a long history of satisfied clients and always welcome new relationships. Our free consultation is a great way to discuss your vision. No job is too big or too small. Our goal is simple. Supply you with the best product; a reasonable price; and promote a beautiful lawn for your enjoyment. Whether you are looking for a routine maintenance of grass cutting services or creating a dream landscape, Let us help craft your perfect environment. We look forward to hearing from you soon! Contact us 24 hours a day online! 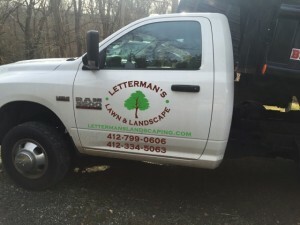 Letterman’s Lawn & Landscape Service, a local company servicing Pittsburgh and surrounding areas. Greg Letterle "aka The Grass Cutter"
I have always loved the outdoors! Sunshine, green grass, flowers and plants! I decided to turn my passion into my career. 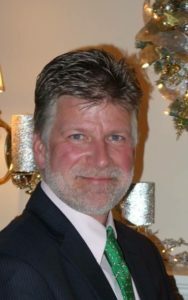 Sixteen years ago I began Letterman’s Lawn & Landscape Service beautifying residential and commercial businesses.